Dojran Lake is the smallest tectonic lake in Macedonia with a surface of 43 square kilometers, shared between Macedonia and Greece and located in south of the country. The maximum depth of the lake is 10m, but this does not prevent many of the Macedonians and tourists to spend their summer holiday by the lake. The large quantity of weeds and planktons on its surface make the waters of the lake helpful for rheumatism, skin and respiratory diseases. Many of the visitors are coming to this part of the country just for particular reason connected to their health. 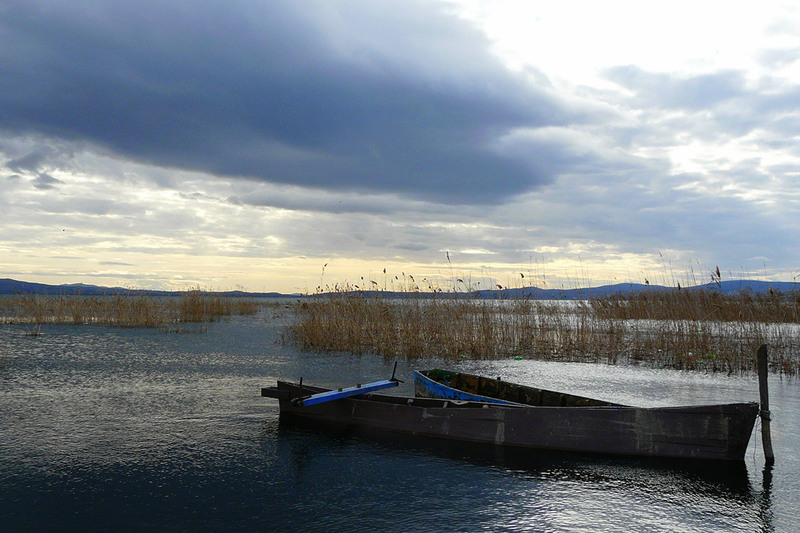 The original and old method of fishing is something that makes Dojran Lake different. It is performed with help of the cormorants and other birds flying above the lake, directing the fish into the baskets where they are gathered in enormous quantities. You cannot notice the small fisherman’s huts standing on stilts above the surface of the water. The fish potential of the lake was even noted by the father of the history in the 5th century BC. According to Herodotus, the lake was so abundant in fish that if you put an empty basket in the water at night, it would be full by morning. Getting familiar with the old fishing tradition, tasting the delicious well prepared fish and enjoying the Mediterranean climate, is a real challenge to visit this shore of the Dojran Lake. 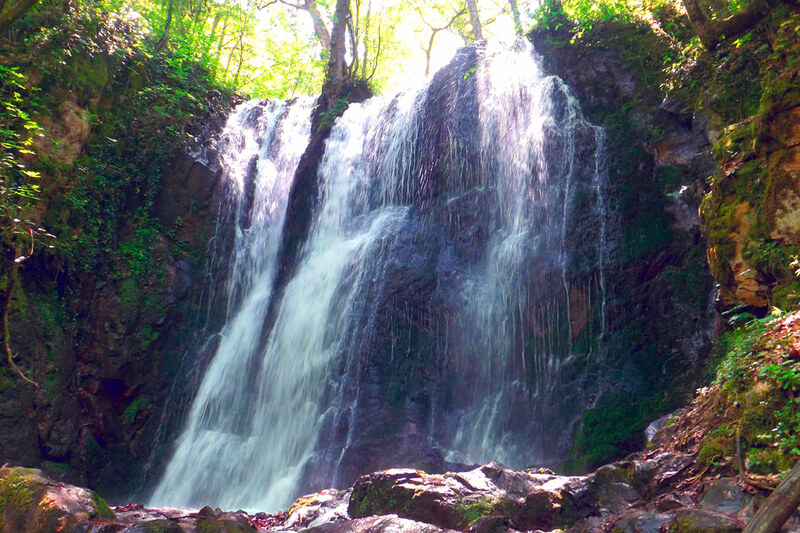 Koleshino Waterfalls is located into the Belasica Mountain on an elevation of 610 meters. Its name originates from the name of the village Koleshino in the southeastern part of the country. It is a part of the Baba River and the water falls from 19 meters. The accent is put on the development of the natural tourism because this stunning beauty will calm your soul independent of the period of the year, in winter when the streams can be frozen and in spring when the streams rush more powerfully over the cliff as a result of the more intensive rainfalls. Making this magnificent place part of your trip will make your holiday richer. Kuklici Stone Dolls is a natural phenomenon located on 8km from Kratovo, the small town of bridges and towers, well known as the Macedonian “living museum” . The first precise and detailed researches were made during the period from 1995 to 1998, but the first presentation of this locality were made in 2000. After the examination of all the necessary conditions, such as the climate, vegetation, hydrographic conditions and the influence of the man, it was confirmed that this relief’s doll occurred under the influence of a strong volcanic erosion. These unusual forms that look like human figures, according to the scientists, are more than 10 000 years old. In 2008, this locality was declared Monument of nature. Otherwise, the locals were familiar with this miracle of nature for centuries and they were having different interpretations about its creation. In this way was created a real legend connected to the great wedding and the curse of a girl for her unrequited love. Exploring these stone pillars more than 130, getting familiar with the bride and the groom and the invited on the wedding due to the creativity and the imagination of the local population, make this monument worth visiting. National Park Galichica is proclaimed to be a National Park in 1958. It covers an area of 22 750ha. Galichica Mountain is a limestone, located between the most beautiful natural lakes in the country, the Lake of Ohrid and the Lake of Prespa. The highest peak is called Magaro with an altitude of 2 254m. There are three zones of protected area, which are the zones of strict protection, the meliorative zone and the tourist recreational zones. 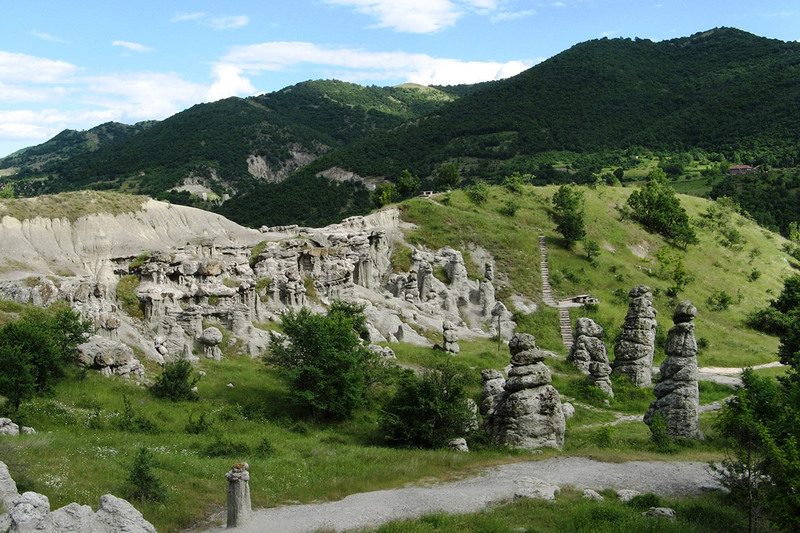 The Park has distinctive relief characteristics: the high mountain peaks that often exceed 2000m altitude, the pastures with numerous herbs which are a special ornament of the mountain landscape and the impressive caves from the glacial epoch. The flora and fauna are interesting in its diversity, the flora covers more than 800 species and the fauna is presented with 10 amphibians, 18 reptiles, 124 birds and 18 mammals. the springs of the Ohrid Lake near the monastery of St Naum and the impressive small island in the Prespa Lake well familiar as the island of snakes, contribute to create a complete picture for the park. If you are willing to experience the most beautiful panorama you have ever seen, two beautiful lakes caressing the mountain massif, from one side the Lake of Ohrid and from the other side on a higher altitude the Prespa Lake, you must explore this National Park that will leave you speechless. 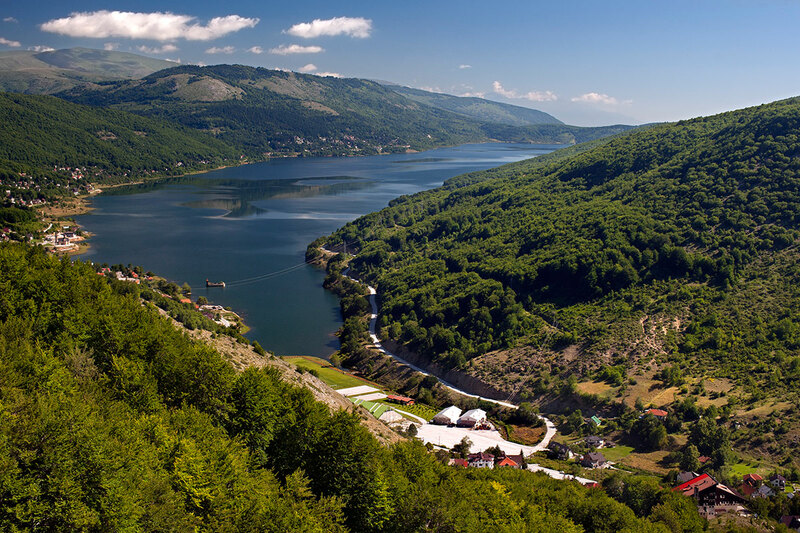 National Park Mavrovo is the largest National Park in Macedonia that covers an area of 73 000 ha. It is located in the western central part of the country. Since 1952, the National Park has three zones of protected area, which are the zones of strict protection, the meliorative zone and the tourist recreational zone. The climate varies according to the relief. Along the river Radika, there is a mild climate and that is the reason why the flora and the fauna are represented with many different plants and animals. In the parts of the park where the altitude is higher than 2000m, there is a noticeable influence of the alpine climate. Many things make this park special. The highest peak in Macedonia, Golem Korab on an altitude of 2 764m is connected to one of the best events for the lovers of beautiful nature and hiking - the traditional hiking tour organized each year on 8th of September when the country celebrates its independence. The traditional Galichink wedding held on 12th of July, includes all the traditional customs from the region which were typical in the past during the weddings. One of the most beautiful monasteries in the country dedicated to the name of St John the Baptist “St John Bigorski” and built from the stone tuff or “bigor” in Macedonian language is a part of the cultural and religious life of the National Park. Several villages built in a traditional Macedonian way are a symbol of the park. After the day spent in hiking, mountaineering, cycling or horse riding, you can taste the incredibly delicious Macedonian food, as well as the Mavrovo sheep cheese made in the sheepfolds or the well known Mavrovo trout from the artificial Mavrovo Lake. This National Park is a home for many animal species, such as wolf, bear, wild boar, fox, deer and many others as well as the Balkan lynx. It has the best hunting ground in the country. The National Park of Mavrovo is one of the most beautiful ski centers and the ski season starts in November. There are possibilities for skiing on an altitude of 1255m to 1860m. The average snow cover is 70m and the are conditions for alpine skiing, snowboarding and international competitions. Without any doubt, it is a place that deserves a visit. National Park Pelister is proclaimed to be a National Park in 1948. It covers an area of 17 150 ha. The park is located on the Baba Mountain massif and between the valleys of Pelagonija, the biggest granary in the country, and the Prespa region. The highest peak is named Pelister and it is on an altitude of 2 601m. The variety of extremely attractive surroundings, the good and marked paths for biking and hiking, the hospitality of the locals from the surrounding villages who will welcome you with great pleasure, are just a small part of the remarkable beauty. The symbol of this national park is the five needle molika pine – pinus peuce found in just a few mountains on the Balkan Peninsula. 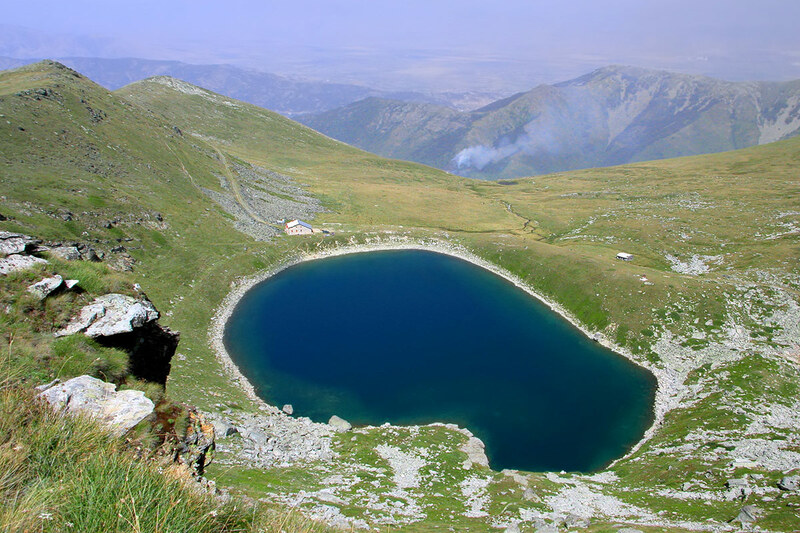 This beauty is complemented by the Eyes of Pelister or the two glacial mountain lakes, the Big Lake on 2 218m and the Small Lake on 2 180m altitude, both accessible for visits, especially for the lovers of hiking. The wolf, wild boar, bears, deer, rabbits, several species of eagles are just a small part of the wildlife in this national park. Pelister is also a good ski center but in this sense is mostly visited by the inhabitants of Macedonia. Enjoying in this magnificent and attractive beauty following the famous roman road Via Egnatia that passes through the park, is something you should think about while planning your next holiday. 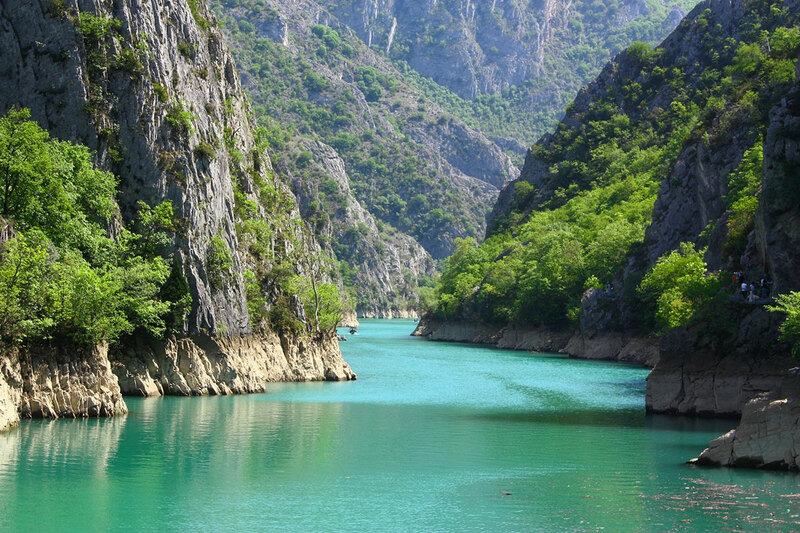 Matka Canyon is located in the environment of Skopje and covers approximately an area of 5 000 hectares. It is one of the most popular and most visited destinations in the country. It is also one of the favorite places of the inhabitants of Skopje to escape the noise from the capital. It is not only interesting for the tourists who are coming to enjoy the walks in the breathtaking nature and the delicious dishes at the same time, but it is also point of interest for more specialized visitors, such as biologists, speleologists, religious groups and the admirers of kayaking and alpine hiking. Matka Canyon is a home of divers plants, 20% are endemic species. It is also home of 77 species of Balkan endemic butterflies, while 18 other species are new for the science. The caves are shelters for a large population of bats. There are 10 caves and among them the well known Vrelo Cave, located on the right bank of Treska River. It was listed as one of the top 77 natural sites in the world in New7Wonders of Nature project. International team of explorers is trying to precise the exact depth of the cave. Until today, according to the speleologist’s assessments Vrelo’s depth is 330 meters, which makes it the deepest underwater cave in the world. Matka is also a cradle of the orthodoxy represented in the fresco painting of the few churches and monasteries from different historical periods. While you are lighting a candle for health and happiness, you can enjoy the remarkable view overlooking the lake. If you would like to enjoy your holiday in different ways, Matka Canyon is the right choice for you. 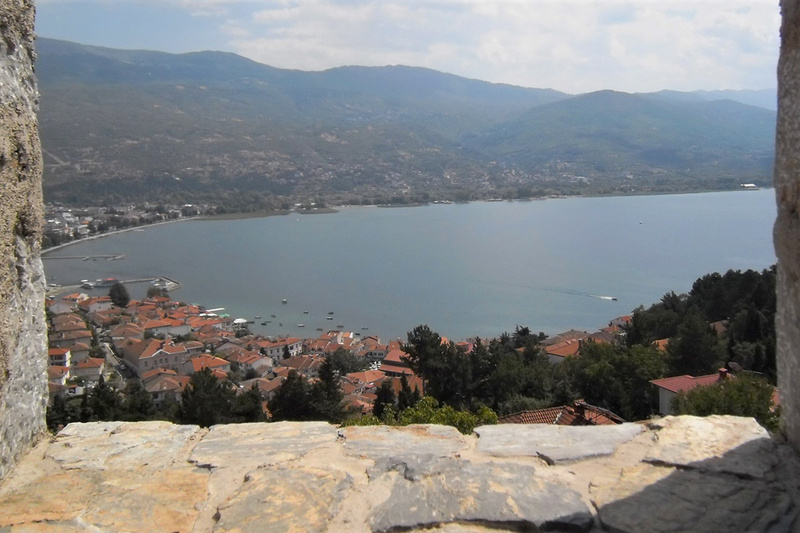 Ohrid Lake is one of the most important natural aquariums in the world. It was formed some 4 milion years ago, which makes it one of the oldest tectonic lakes in the world, along with Baikal in Russia, Tanganyka in Africa and Titicaca in South Amerika. The lake succeeded to preserve unique and endemic flora and fauna and as one of the rare preserved ancient lakes in Europe will receive the epithet “natural museum of living fossils”. It is located in the southwestern part of Macedonia on an altitude of 695meters above the sea level, surrounded by mountains over 2000 meters high. The lake is having a surface of 358 square kilometers and two-thirds of the lake surface area belongs to Macedonia and one-third to Albania. Ohrid Lake is the deepest lake on the Balkan Peninsula and the maximum depth was 286m but recently was discovered a point which is 310m below surface. It has a crystal clean water and during the sunny days is transparent even to the depth of 23m. Due to its depth, the lake never freezes even in winter when the temperature is minus zero. The lake counts 17 kinds of fish. The most familiar and the most commercial are the endemic Ohrid trout, the eel , the carp and the especially interesting small fish called “plashica”, whose scales are used for making a special emulsion during the process of making the famous Ohrid pearl by the two families who know the secret. In the flora mainly dominate different species of algae and tall plants. 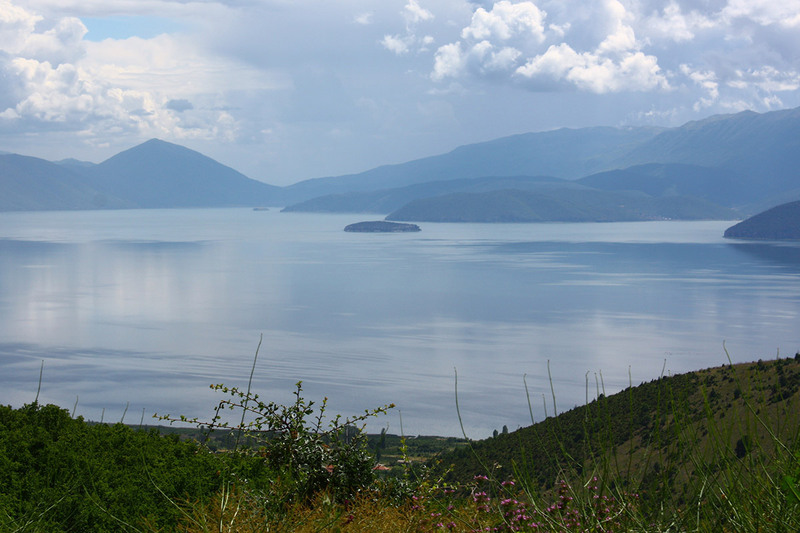 The lake gets most of the water from the neighboring Prespa Lake, which is on higher altitude for 150m. The water sink beneath the karst massif of the Galichica Mountain and appears in the lake through the springs near St Naum. This area is protected by the National Park of Galichica and the visitors can discover the rare beauty and this Paradise on the Earth by the small rowing boats that will take you to the springs. Exploring the 87km shoreline of the Lake, the beautiful landscape, the undiscovered secrets and mysteries of the lake waters, the spectacular cave churches, the opportunities to swim, dive, sail or just enjoy, is something you must do. Due to all these natural values, Ohrid Lake was listed among the UNECO’s World Heritage List in 1979. The importance of the lake was emphasized when NASA decided to name one of the Titan’s lakes after Lake of Ohrid. Prespa Lake is located in the Prespa Region, one of the most beautiful and attractive regions in Macedonia. Among the symbols making this region recognizable, such as the large plantations with apples, the interesting history and the development of the rural tourism, we must include the tectonic lake of Prespa. The surface of the lake is 176 square kilometers and its surface is shared between Macedonia, Albania and Greece. The maximum depth of the lake is 54m. Prespa region has a rich fauna, different species of amphibians, reptiles, mammals, bird species and the biggest attraction are the pelicans and the cormorants. Prespa lake is the only lake in Macedonia having a small island. “Golem grad” or “Large Town“ is a result of the remains found there after the archaeological excavations that proved a life on this island during few different periods. The island is in the first zone of protection from the National Park of Galichica and it is only accessible by a small boats. It is point of interest for the biologists and the zoologists as well because of its variety of flora and fauna. The tourist would like to explore the extremely attractive surroundings and especially to discover the secret why this small island is the famous “Snake Island” of the Prespa Lake. Discovering the almost untouched nature, the pleasant climate, the “healing” fresh air as well as the opportunity to socialize with the locals and taste the most delicious Prespa carp, will keep your attention and awake your desire to come back again. 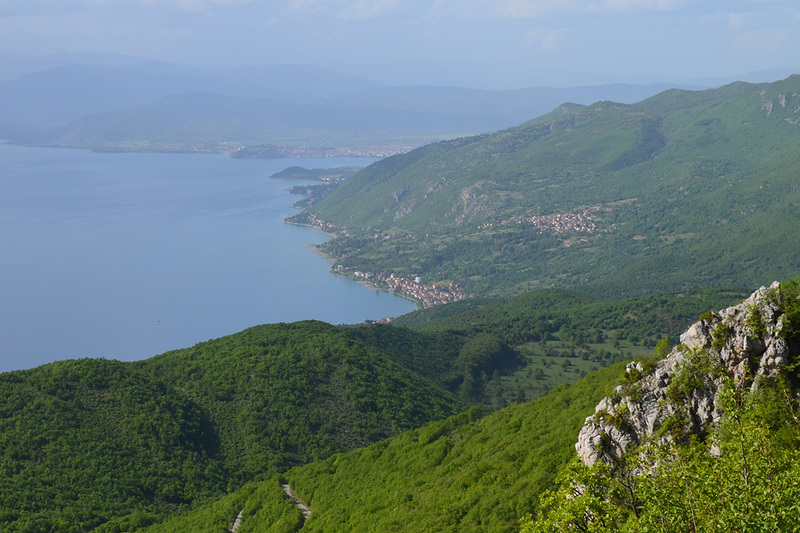 In 2004, the Ohrid-Prespa Transboundary Reserve between Macedonia and Albania was added to UNESCO’s World Network of Biosphere Reserves. 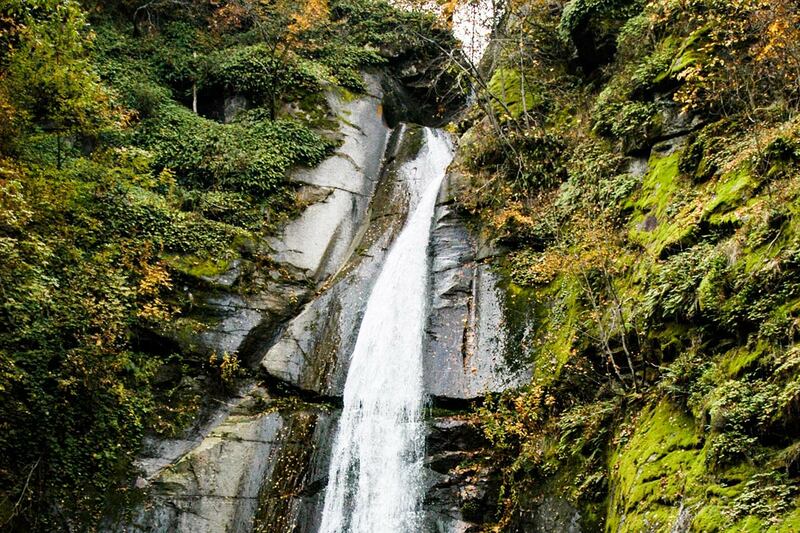 Smolare Waterfall is located deep into the Belasica Mountain on an elevation of 630 meters. Its name originates from the name of the village named Smolare in the southeastern part of the country. It is the tallest waterfall in Macedonia, part of the Lomnica River, where the water falls from 39.5 meters. The development of the natural tourism is emphasized. The fresh air of the surrounding beech trees, the good conditions for picnic and camping turn this beauty into a place for relaxation and meditation. The access to the waterfall is through a beautiful landscape. There is a path that includes 300 stone steps made from natural materials. When you arrive in front of it, you can enjoy it the view from a small wooden bridge. In 2007, a market place was opened where the local population sells their homemade products, as well as fresh fruit and vegetables. This scenic area can offer you a real pleasure and romance that will last for a lifetime.